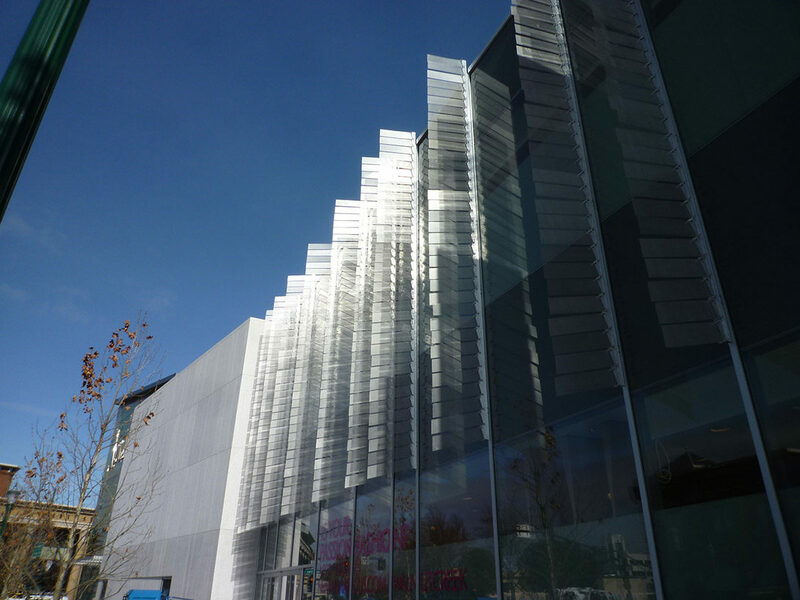 A series of wind-animated vertical fins fabricated out of brushed aluminum are integrated into the design of a glass curtain wall. The fins are mounted on tilted hinges so that when there is no wind they come to rest perpendicular to the plane of the windows. When there is wind, the metal fins sway like grasses in a breeze or the dorsal fin of a huge fish. 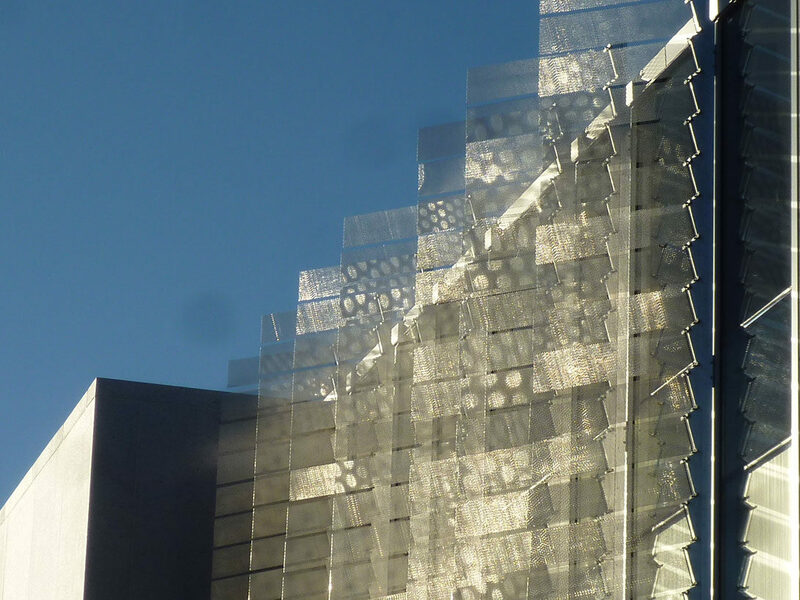 The gentle movement of the aluminum panels and the way they reflect light and colors from the sky and surrounding urban landscape gives the artwork a porous and gossamer feel. Completed in 2012.